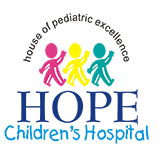 At HOPE, we have a team of experienced super specialists who handle cases in cardiology, neurology, nephrology, orthopedics, endocrinology, ENT, and dermatology. Our highly skilled, specialized doctors perform a wide range of surgeries including – New Born Surgeries, Pediatric surgeries, Dental, Ophthalmic, ENT, Orthopedic, Neuro, Cosmetic and Plastic surgeries. Right from a common ailment such as a cough and cold, to more serious illnesses such as meningitis, encephalitis and dengue, our skilled pediatricians will help diagnose the problem and provide advice on next steps. HOPE dentists treat a range of dental problems faced by children, but more importantly, also provide advice on tooth care, oral hygiene, and prevention of dental issues in children. Today’s nutrition issues in children manifest themselves in the form of stunted growth, obesity, anemia, and other deficiencies. Our team of nutritionists assess the child’s nutritional requirements, plan a balanced diet, and advise nutritional supplements.